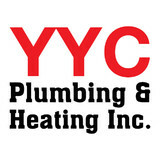 Crucial Connections plumbing and heating inc.
YYC Plumbing & Heating Inc is a small family operated Plumbing Business. We care and take pride about the quality of our work. We are Licensed, Insured, and Bonded. 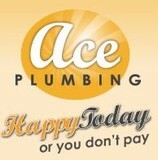 Ace Plumbing, your Calgary Plumber, has over 35 years of experience in plumbing, heating and drainage maintenance. Our expert plumbers offer services in plumbing repairs, drain cleaning, toilet & tub repairs, water filtration, ac installations, ac repairs, heating repairs, water heater repairs and air filters. Plumbing Company specializing in residential jobs. Working with home builders, homeowners and contractors to complete multiple plumbing jobs in a timely professional manor, with high workmanship at competitive prices. At Aquality Plumbing and Heating we hope to earn your business by creating a relationship with you the customer. 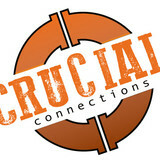 We are here to assist and advise as well as produce the highest level of technical service on site. I built Aquality by increasing our customer base over a decade of business through word of mouth. We work hard to impress each customer and that has led to referrals to friends and family of our existing customers. We also are very proud of having over 95% of our customer base use our services more than a single time. That is our proudest accomplishment that we have so many repeat customers that know our team, trust our team, and know we have best intentions each and every time we come to your home or business. We hope to continue to build our team and customer base while maintaining the highest level in communication. Thanks for using our team and we hope for those who have not yet, they will give us a chance to impress them as well. Firefly Plumbing is a locally owned and operated business that prides itself on fantastic customer service, providing quality installations with an honest price. Small business with low overhead will keep the customers price low. Flowtech Plumbing & Heating is owned and operated by Chris Jansen, who many will know from his years of service at his family's business Jansen Plumbing. We pride ourselves on customer service and outstanding workmanship. 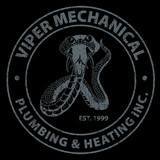 We are fully licensed and insured as well as Journeymen in plumbing and gas fitting. We are capable of handling any of your plumbing or heating needs – from a small repair to a major renovation. A plumbing contractor handles the installation and repair of water, sewage and natural gas pipes throughout a home, as well as interior and exterior faucets and fixtures. Plumbing contractors are also trained to work with water mains, septic tanks, laundry appliances, water heaters, sump pumps and other plumbing and pipe systems. Because plumbing repair work is done largely behind walls and beneath floors, some plumbing companies can also patch or replace tile, stonework and other surfaces. Although some Braeside plumbers are generalists, others specialize in specific areas; a 24 hour emergency plumber will handle urgent residential repairs, while others may be more skilled in remodeling, natural gas lines, overhead sprinkler systems and more. Find a local Braeside plumber on Houzz. Narrow your search in the Professionals section of the website to plumbing contractors in Braeside, AB. You may also look through photos of Braeside, AB projects to find a licensed plumber who has worked on a project similar to yours. Here are some related professionals and vendors to complement the work of plumbers: General Contractors, Septic Tanks & Systems, Kitchen & Bath Designers, Kitchen & Bath Remodelers.